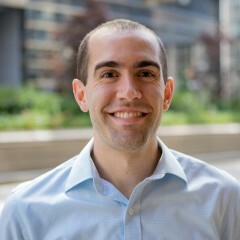 Ian Adams is the Chief of Staff at Clean Energy Trust, where he is responsible for program execution and oversees strategic projects for the organization. In addition, Ian serves as a board observer for five companies in the organization’s investment portfolio. Prior to joining CET, Ian served as an aide to the U.S. Secretary of Energy and worked at the White House. He began his career on former President Obama’s first presidential campaign. Ian received his MBA from the University of Chicago’s Booth School of Business and completed his undergraduate studies in economics and political science from the University of Illinois at Urbana-Champaign.